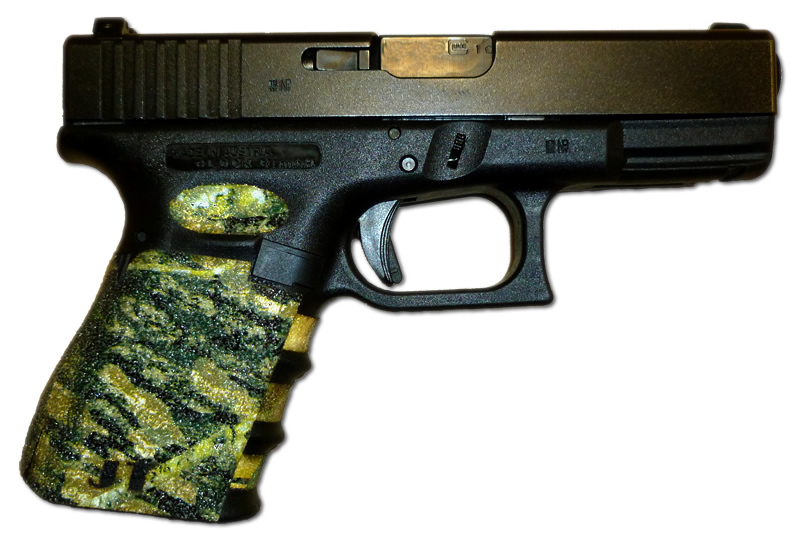 Custom designed grips, laser cut Decal Grips for the Glock 19, in multiple colors, designed and developed to fit seamlessly the Glock 19, as well as the Glock 23, Glock 25, Glock 32, and Glock 38 Gen 3 handguns (Will also fit most Gen 4 without backstrap). These grips are semi-aggressive, with the black granule being the most aggressive, and the rubber, being the least aggressive feel. The Mossy Oak colors blend perfect with any Mossy Oak branded camo product. 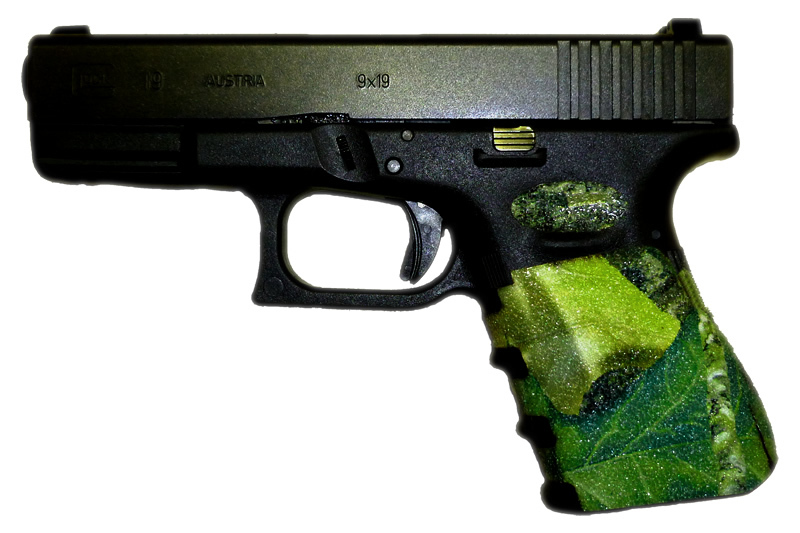 Camo blends perfect to keep your gun concealed when hunting. They should also fit Gen 2 and Gen 4 versions of those pistols, though the Gen 4 guns may require some slight modification to fit properly (proper backstrap installed). Also available in black, blue, pink, and other colors. 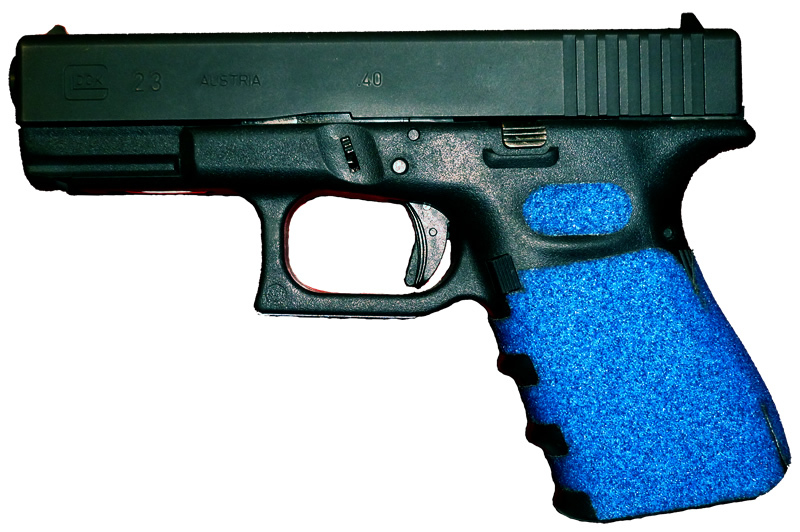 The Glock 19 Decal grips, once installed, are a product you wonder why you didn't buy a set long ago. 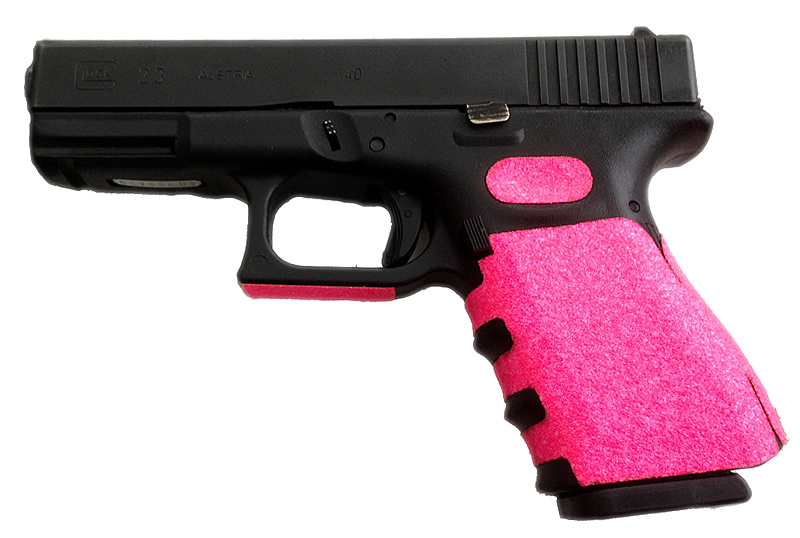 They are the biggest bang for the buck add-on for any handgun, as they instill tremendous confidence in your ability to shoot, stay on target, focus more on your target and your trigger pull instead of how hard you are gripping the gun. Cut so seams overlap, will not trap water or come off your gun on accident.